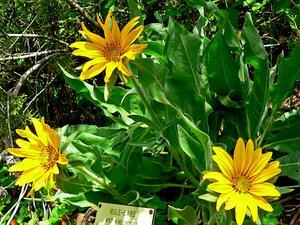 Wyethia Helianthoides, or more commonly know as Sunflower Mule-Ears, is a forb/herb (a forb/herb is a non-woody plant that is not a grass) of the genus Wyethia. Its duration is perennial which means it will grow year after year. 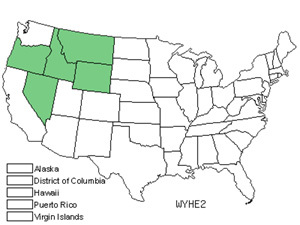 Wyethia Helianthoides or Sunflower Mule-Ears's floral region is North America US Lower 48, specifically in the states of Idaho, Montana, Nevada, Oregon and Wyoming.